COUPLE OF INDIANS ON WINSTON...BUFFED!! 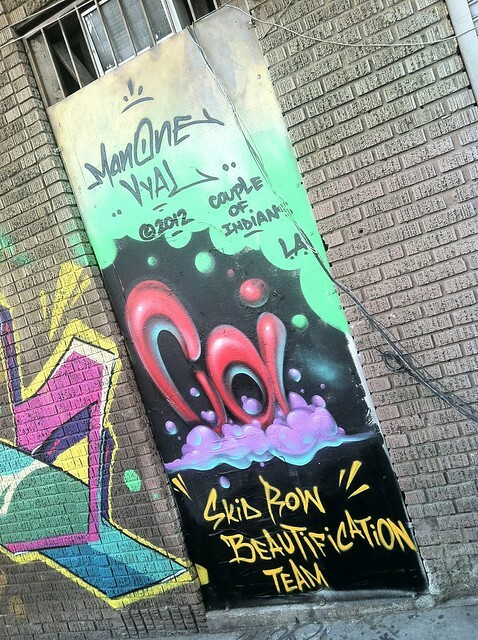 Me and Vyal created this new piece last week on the corner of Los Angeles St and Winston in DTLA. 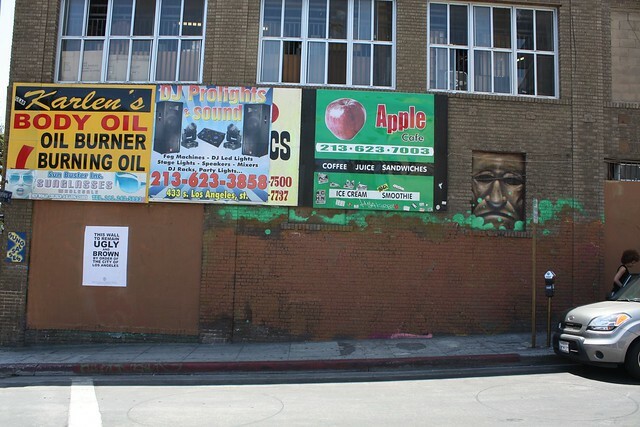 The piece attracted a lot of positive attention in the Skid Row area and even business owners noticed a slight increase in sales the week that it was up. 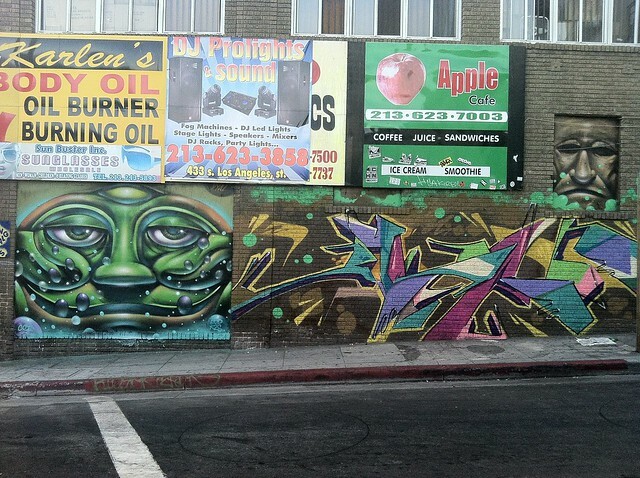 Somehow, mysteriously, as of August 7th, the mural has been buffed, erased, GONE! The only witness to the buffing was a security guard at the Jeffries across the street. 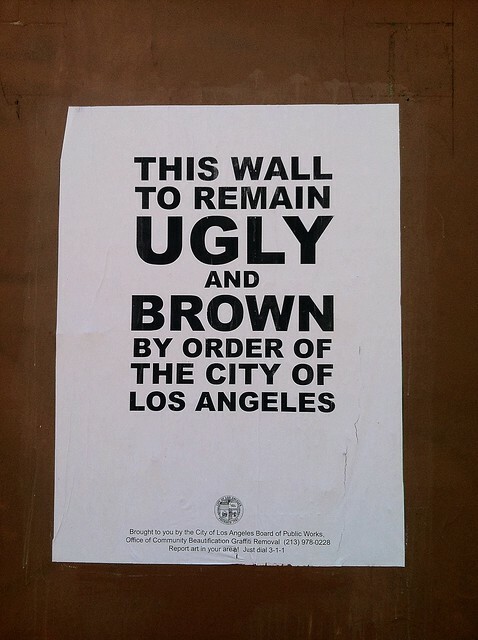 He said it looked like a city crew but the Downtown BID and the Office of Community Beautification graffiti abatement crews have all gone on record saying they were not involved. If anyone has any information as to who might have done this please let us know. 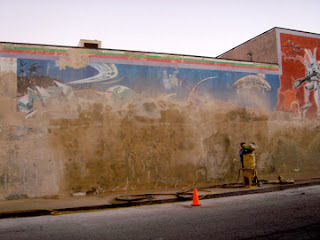 stay tuned for the next episode..
As I was strolling through East Los the other day I stumbled upon a work crew removing one of my old murals. 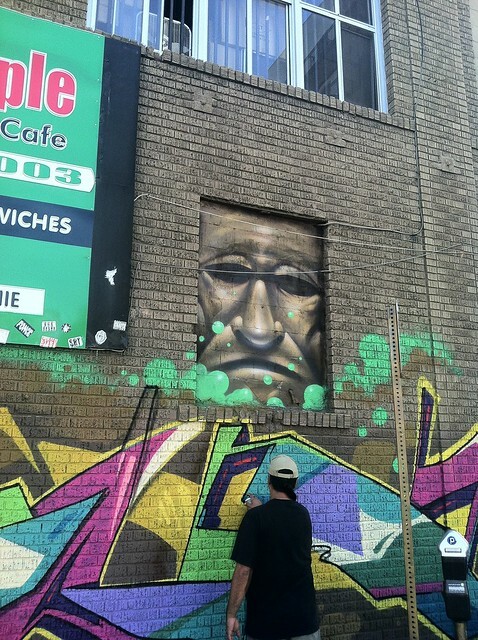 The owners wanted a new facelift and decided to sandblast the entire wall. 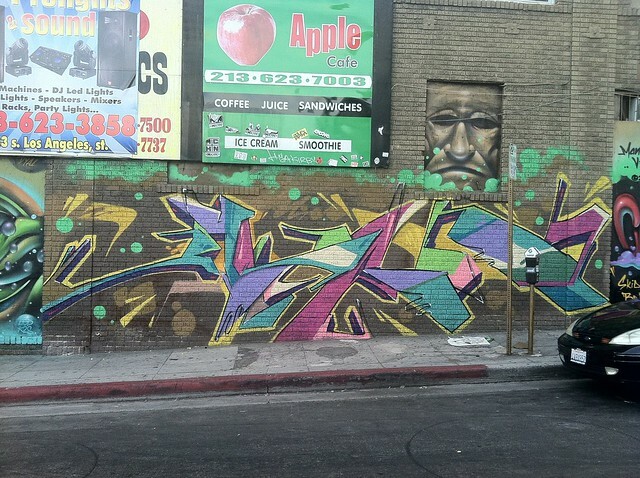 This mural was created in 1998 and got lots of respect from the neighborhood. The theme of the mural was the Battle for Humanity or "LA Batalla por la Humanidad". It took me 2 months of off and on painting to prime, buff and spray paint the 30' x 80' mural all using my own buff and spray paint. 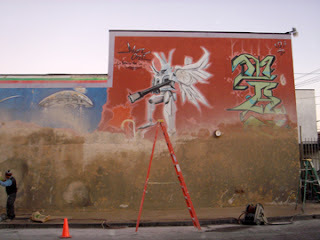 The mural was self-commissioned (meaning I didn't get paid) done for the love of the art.